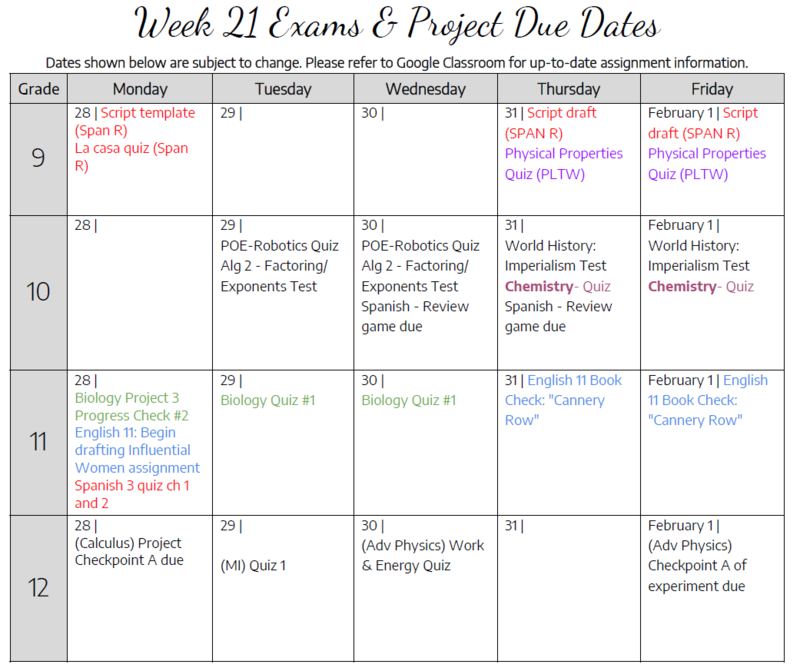 Please click on the link below to see the results of the parent surveys that went out last semester. I would be happy to answer any questions you have about these results! Our School Site Council meeting this Wednesday at 4:00 in the Galileo Room. 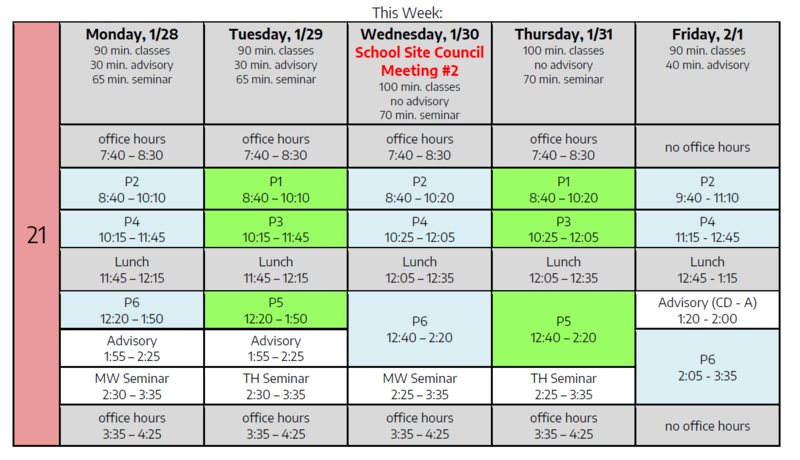 Our planned schedule is below. All DVS families are invited to attend! This post is primarily for parents of seniors. Please find details regarding graduation, prom, grad night, yearbook, and more in the attached file. Let me know if you have any questions! 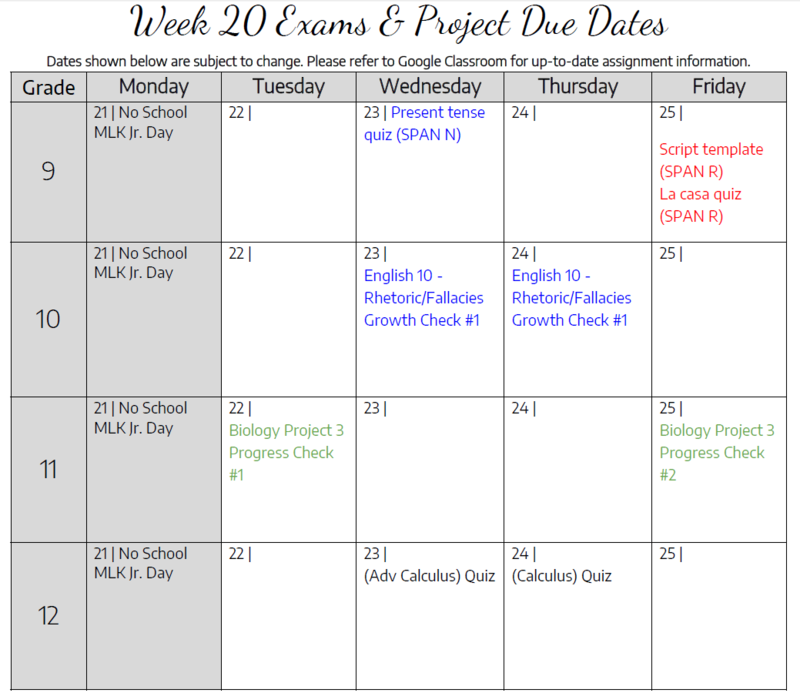 Here are the schedule & due dates for the week! Again, thank you for your patience and cooperation as we all continue to work together to ensure the safety and well-being of all of our students. Have a safe day! Interested in learning more about the theater? The DV Theater program will focus on performance, culminating in a fully staged production at the end of the semester. Any and all students are welcome. If you’re passionate about performance, or just looking to learn something new and challenge yourself, this is a program for you! Da Vinci Theater will meet on Tuesdays and Thursdays from 4:00 to 5:30 starting Tuesday, January 22nd. On Tuesday February 5th, 9th grade Da Vinci Science High School students will have the opportunity to see a dramatic performance entitled “What Goes Around.” This performance is sponsored by Kaiser Permanente. The play tells the story of five students and how their behavior and connections to each other also connect them to other people who are unknown to them. The play uses visual monitors, text messaging, cellular and computer technology to better reach its audience and to clearly illustrate its message: there are epidemic rates of sexually transmitted diseases (STD) in the high school age group. Because the play involves sexual education, it is necessary that each parent/guardian know they can “opt out”. Any student not attending the assembly will be assigned to an alternate location for the duration of the play on Tuesday, February 5th. If you wish your student to “opt out” of participating in the play, please submit a written note or email to the front office, by Friday February 1st, 2019. 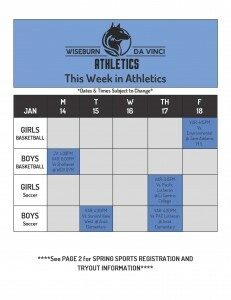 Interested in participating in one of our Spring Sports? 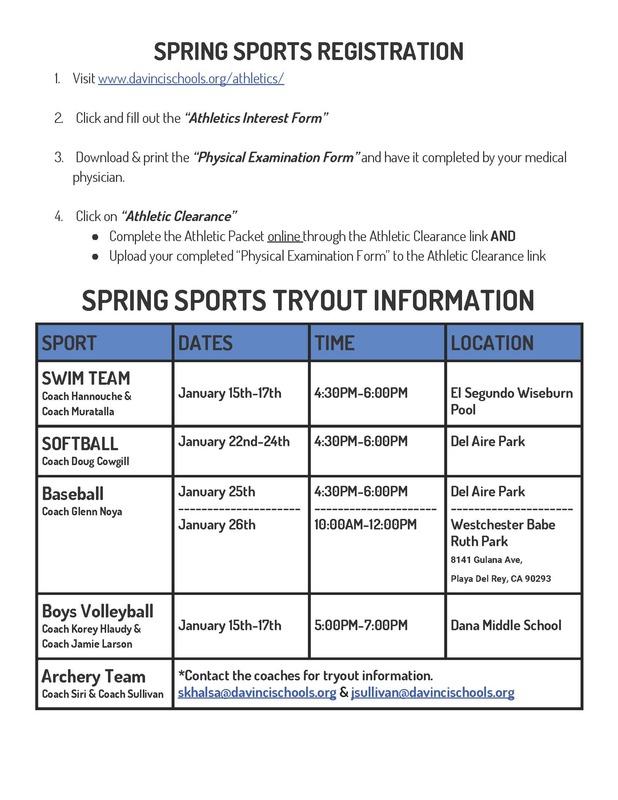 Boys Volleyball, Baseball, Softball and Swim team are all hosting tryouts in mid- January. Below you will find all spring sport tryout dates and locations. And click on ‘Athletics Interest Form’. 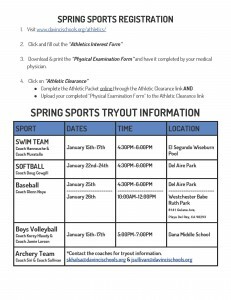 Fill out the info and we will send you and your parents updates on team schedules, athletic clearance notifications, special events, and more. Interested in finding the team schedule, stats and records? Starting January you can find that information on the Maxpreps link. Swim Tryouts will be held on January 15-17th from 4:30-6: 00 PM with Coach Hannouche and Coach Muratalla.